You have unlocked 1900. Congratulations! I will race you to 2000 on QM. If you think I should wait for a few days to give you a head-start, let me know. So who is racing me, Mr. Alt? 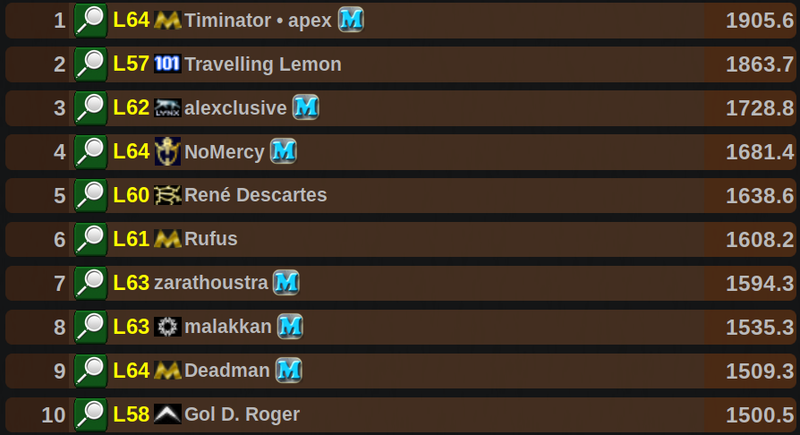 NoMercy down to rank 4. NoMercy rank 2 in both FFA and TEAM games. Congrats, NoMercy. You are one of the best players on warzone. Your ego needs to get larger. Second place is better than first. I see that you have suffered a setback in your quest and fallen below 1900. Warzone (not affiliated with and better than Hasbro's RISK® game) is a funny old game sometimes. I am sure you will bounce back soon. My Strange Addiction: I spend 24 hours every day on wz quick matchesto prove how addicted I am. Gap is less than 30.